Directed by Wes Anderson. With Bill Murray, Owen Wilson, Anjelica Huston, Cate Blanchett. 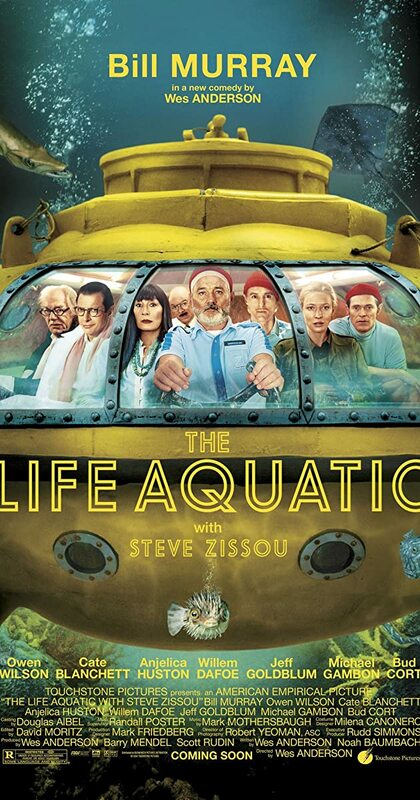 With a plan to exact revenge on a mythical shark that killed his partner, Oceanographer Steve Zissou rallies a crew that includes his estranged wife, a journalist, and a man who may or may not be his son.